Rail's share of the freight transportation market is at an all-time low. Carriage by road is cheaper and more flexible. Autonomous trucks would further intensify the already fierce competition. Rail carriers and suppliers must respond to this trend. And now is the time to do so. Although more and more goods are being carried by rail, this is not taking them off the roads. 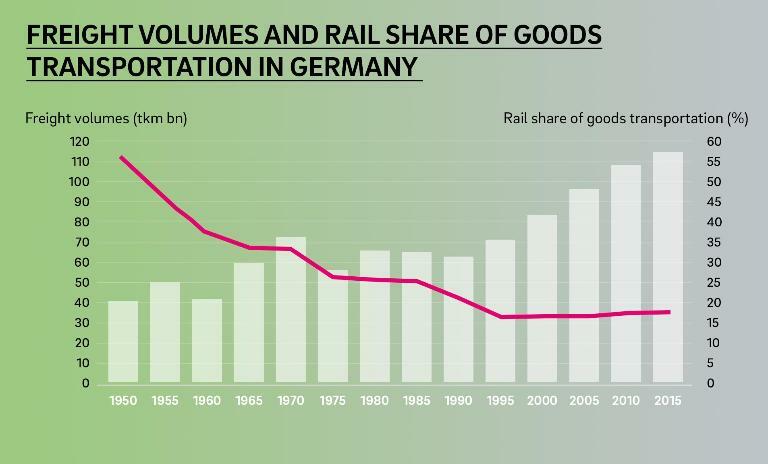 Rail's share of the growing transportation market has actually remained stagnant for decades – and has nearly halved in Germany since 1970 (see Figure 1). Eastern European carriers in particular can transport goods at lower cost on Germany's roads. Trucks are more flexible and are served by a more extensive infrastructure than trains. Despite traffic congestion, an average speed of 60 km/h also makes trucks twice as fast as cargo trains on average, as the latter often have to wait while passenger trains take precedence. 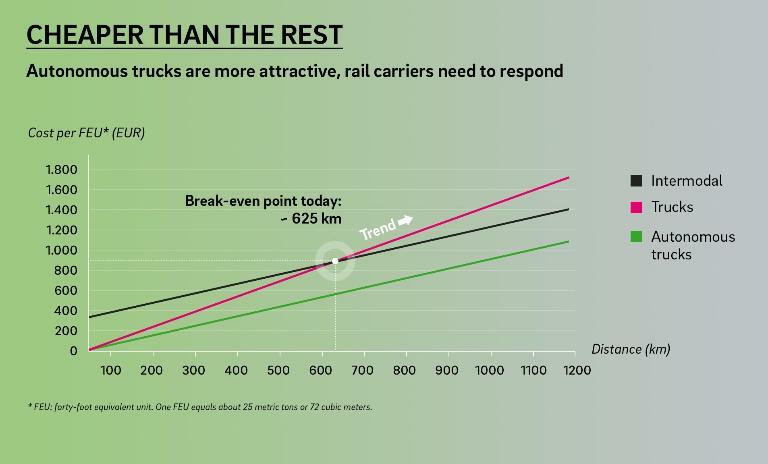 Nor will DB Cargo's plans to close freight terminals make wagonload traffic any more attractive, instead prompting a further decline in rail's market share. These familiar parameters could now be flanked by a technology that has already been tested on Europe's roads and would put even greater pressure on rail freight: the automation of road haulage. With drivers largely redundant and insurance premiums far lower, the cost per truck kilometer to transport, say, a 40-foot container would be slashed by more than a third. For containerized traffic, rail would scarcely be able to compete: In cases where rail freight is currently the lower-cost option – for distances upward of around 625 km – autonomous trucks would in future be the more attractively priced option, irrespective of the length of the journey (see Figure 2). 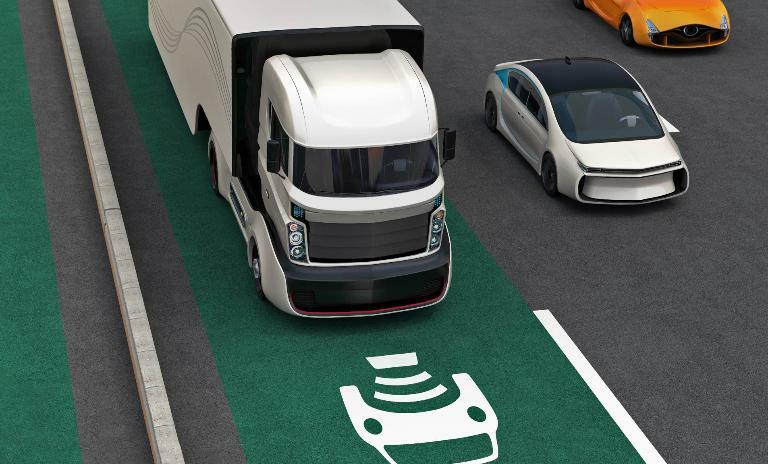 The automotive industry has so far invested comparatively little in the initial stages of automation, for example to facilitate truck platooning. The savings outlined above would, in any case, only be realized through further investment in more advanced stages of automation. 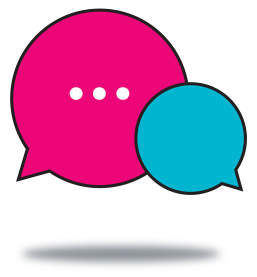 Ethical and legal questions also remain to be answered. Even so, rail industry players must be aware that, in the long term, intermodal freight traffic is under serious threat if rail carriers fail to respond. Above all in light of the far longer investment cycles in the rail industry, rail companies and suppliers need to find answers to this future threat today. They would be well advised to focus on digitization and automation, where heavier investment in research and development is an urgent imperative if autonomous trains are to be brought to operational maturity. By optimizing traffic flows, autonomous trains could increase line capacity and cut costs if the industry dares to think beyond automated regular operation on lines that switch back and forth between passenger and freight uses. The automation of transshipment terminals could harbor even greater potential with fully automated sorting facilities including self-driving vehicles that speed up container transshipment. The ball is therefore now largely in the court of rail carriers. They must respond to the threat posed by autonomous trucks and increase the share of goods carried by rail. Road haulage generates more than four times higher CO2 emissions per ton-kilometer than rail freight. And autonomous truck fleets will further increase the burden on our roads.